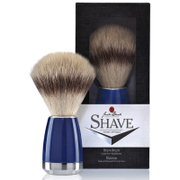 Ideal for travel, the Geo. 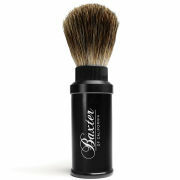 F. Trumper 2273 Super Badger Shaving Brush with Case will allow you to enjoy a close and comfortable wet shave, even when you're away from home. 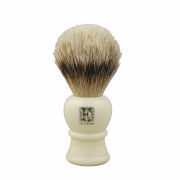 Featuring soft, genuine badger hair bristles that will work up a rich lather with your shaving cream, the brush also boasts a beautiful simulated ivory handle and case. - L.M.